I have some exciting news to share with you all. 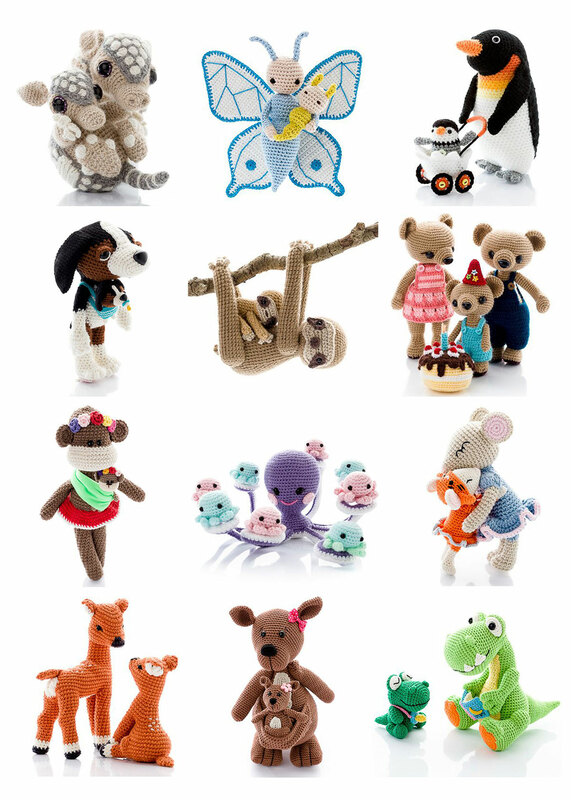 My pattern for Mama Bear, Papa Bear and Baby Bear can now be found in Amigurumi Parent and Baby Animals, a fabulous book of “soft and snuggly moms and dads with the cutest babies”. The pre-sale of this book is on from now till September 27. 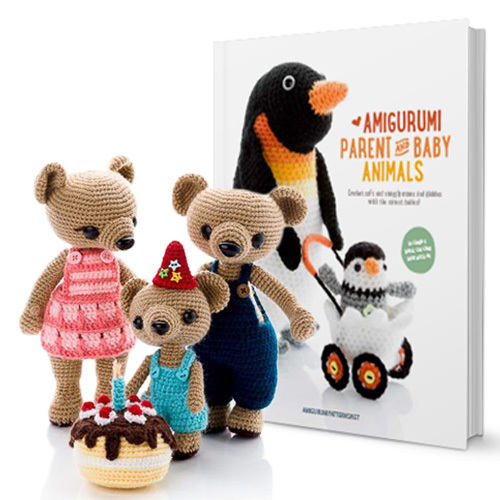 If you order your copy now, you’ll also receive a free PDF edition of the book, which means you can start making your favorite amigurumis right away! To order your copy, click here. Vote for Mimi & Choppy! And the brown bears I see…. I loved your white polar bears! But the look good! Congratulations! I love your bears and the book is also great! Thank you, Karin. 🙂 I’m happy to hear you like the book. What criteria have taken to select the tutorials of the book? I see a connection with the Contest “Parent and baby animals”, am I wrong? Thank you for your quick response. Sorry I made a mistake, I thought you were the author of this book. Congratulations. Great to see your mum, dad and baby in this fabulous pattern book. I put this book on my wish list.